Alberta Minister of Environment and Parks Shannon Phillips is leading the Carbon Competitiveness Incentives strategy to reduce GHG emissions from industry. After months of consultations and public hints, the Alberta government finally unveiled the Carbon Competitiveness Incentives program. This is big news for the provincial oil patch, but will also after other industries like cement production, chemical manufacturing, and electricity generation that create 100,000 tonnes or more of greenhouse gases a year. Jennifer Winter, professor, Dept. of Economics, Univ. of Calgary. 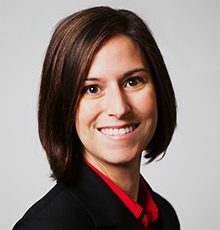 “The CCI program is a combined tax and output subsidy system designed to incentivize firms to reduce emissions while also mitigating competitiveness concerns and carbon leakage associated with significant climate action by Alberta and Canada in the absence of similar action by other countries and major competitors,” said Prof. Jennifer Winter, assistant professor of economics at The School of Public Policy, University of Calgary. For the oil and gas industry, the CCI is designed to both drive down emissions and operating costs at the same time. Last year, Environment Minister Shannon Phillips explained simply – much more simply than the bureaucrats who wrote backgrounders on the new program – how the system is intended to work on an exclusive Energi News webinar. The program has two components, a carbon levy (initially set at $30 a tonne) and output-based allocations (see the government’s overview of OBA’s here. Canada’s Ecofiscal Commision provides a relatively simple explanation of OBAs here). To start, the government sets a threshold for the carbon intensity of a barrel of crude oil. The 25 per cent of production below that threshold, with the lowest GHG emissions and carbon-intensity, receives a subsidy from the carbon levy, which is estimated to be $800 million next year. The next 25 cent of production pays a small levy, the next 25 per cent pays a bigger levy, and the bottom 25 per cent pays the biggest levy. The best producers are encouraged to innovate in order to continue cashing government cheques and the poorer producers want to avoid paying any more carbon levy than absolutely necessary. As producers lower their emissions, the government moves the threshold so that companies are always motivated to keep improving. The key to the CCI working is continuous innovation by industry. 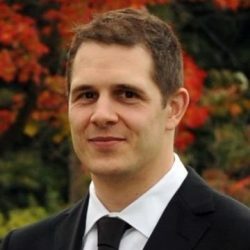 As I’ve explained in numerous columns, the Alberta oil sands is experiencing a technology Renaissance, what Kevin Birn of IHS MarkIt calls the “third stage of oil sands development (the first was mining, followed by in situ using steam assisted gravity drainage, which is forecast to account for all 1.3 million b/d of new production between now and 2030). Companies are frantically developing and adopting new technologies because they understand that using less natural gas to make less steam lowers operating costs. Cenovus is already as low as $7 to $10 a barrel depending upon the operation and Harbir Chhina, VP of technology and godfather of the SAGD process, told me he expects another 20 per cent reduction over the next decade. 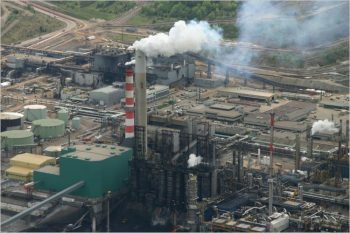 Both Cenovus and Suncor have announced in the past few months that their goal is to reduce GHG emissions by 30 to 33 per cent, which would put the carbon-intensity of their crude oil within spitting distance of the average American crude. 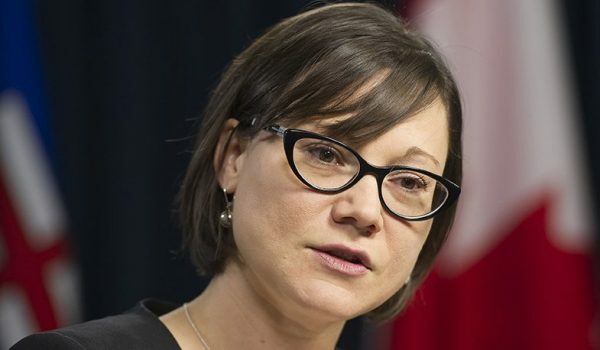 To spur even more innovation, on Tuesday the Alberta government announced $1.4 billion innovation fund, which will be mostly funded by the provincial carbon tax. $440 million – to help oil sands companies increase production and reduce emissions while adjusting to the CCI. $225 million – for innovation projects across sectors that support research, commercialization and investment in new technologies that reduce emissions. $240 million – industrial energy-efficiency projects that help companies reduce emissions and costs by upgrading equipment or facilities to lower energy use. Support will be available for large industrial, agricultural and manufacturing operations. $63 million – grants for bio-energy projects, including bio-diesel and ethanol, biomass-based electricity generation. $400 million – loan guarantees to support investment in efficiency and renewable energy measures to reduce risk for financial institutions and make it easier for companies to invest. Industry boosters are already dismissing CCI as just another tax intended to make Alberta oil and gas uneconomic. The exact opposite is the intent and very likely the consequence of an innovative policy that was designed in part by oil sands producers, who were consulted extensively, according to Phillips.